TMJ Pain? Try these poses for proven relief. 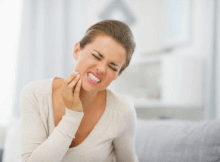 6 Yoga Poses to Treat TMJ Pain Without Medication Have you ever experienced pain in your jaw, perhaps from clenching your teeth or chewing hard or sticky foods? Need A Quick Boost? Give These 5 Poses A Try! Want To Fight Cellulite? These Poses Can Help! What Happens When You Take Up Yoga For 2 Months?